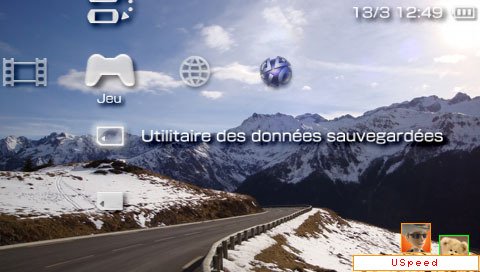 The French developer USpeed ​​release the first update for USpeed ​​Profile Manager plugin through which you can manage multiple profiles on the same console with as many SAVEDATA members. The new release improves the aesthetics and customization of controls and interface, plus other small optimizations. - Pictures Have to be 40x40px sized (vs. 28x28px in previous version). - PNG pictures with transparency are now supported (40x40px). - Show / hide control is now customizable and can be a combination of buttons. - You can choose the display position of USpeed ​​PM.